Videoslots Review | Biggest Selection of Online Video Slots? New Customers Only | Key Terms and Conditions | Full Terms and Conditions apply (T&C) | 18+ Only Are you a slot lover? Then we think Videoslots is the best match for you! We really love Videoslots Casino. You know why? They offer over 3.000+ of the best games in the industry. Besides that, they offer ..
Summary rating from 23 user's marks. You can set own marks for this article - just click on stars above and press "Accept". Are you a slot lover? Then we think Videoslots is the best match for you! We really love Videoslots Casino. You know why? They offer over 3.000+ of the best games in the industry. Besides that, they offer many rewards and bonuses that are completely wager free. In this in-depth Videoslots Review we will review their website, games, bonuses, support and many more! And if you get convinced about the quality of this online casino, you will be able to receive some great exclusive rewards for signing up! First let’s start with some basic information about Videoslots Casino. The brand Videoslots was started in the beginning of 2011. The casino is build and designed by an group of Swedish casino enthusiasts who decided to start building a real casino online. Since then they have always strived to compete with the biggest casino sites out there. Their focus is now on providing a large variety of games, great customer support and a great reward system. Features such as the Weekend Booster rewards, Clash of Spins and Battle of Slots and more make this casino really unique. Videoslots.com is operated by Panda Media Limited, a company licensed to operate by the Curacao eGaming Authority, Maltese Gaming Authority and the UK Gambling Commission. Gamblers from the US, Denmark, Turkey, Belgium, South Africa and Israel prohibited from playing at Videoslots Casino. We really like to play at Videoslots for one reason. They offer a serious amount of games. At the moment you will find 3000+ games in the gaming lobby. These games are provided by many different vendors. The most popular are the games by NetEnt, Playtech, Microgaming, Quickspin, Betsoft and NYX Gaming. Besides these brands you will find way more smaller providers at Videoslots. We really like to try out the new games by Red Tiger and Pragmatic Play. Some other classic games we adore are those from Williams (WMS). Especially Raging Rhino, Glitz and Fire Queen are some of our favourite games. These games can explode and award epic prizes while only making a small bet of €0,30 or €0,40 per spin. But you will also find other great games by 1X2 Gaming, 2By2, Ainsworth, Bally, Barcrest and Big Time Gaming. Other well-known providers are ELK, Endorphine, GameArt, iSOftBet, Lightning Box, Merkur, Play n Go, Rival, Yggdrasil and ThunderKick. In the gaming lobby you can filter games on your favourite providers. Have fun playing the best slots of the moment! Like to play some games on your mobile? No problem! Videoslots Casino is fully optimized for mobile players. Login in and making a deposit on mobile or tablet is very easy. And most of the games work fine on mobile too! At the moment the casino offers more than 725 video slots for mobile players. Like playing Jackpot Games? You can also play more than 25 Jackpot Slots in the mobile casino. Other games you can play are table games, scratch cards and video poker. Log in on your mobile to view the whole portfolio of mobile casino games. At Videoslots Casino you will not only find video slot games. In the gaming lobby you will find multiple cool Jackpot Games. The most well-known are the Mega Moolah and Mega Moolah Isis Slots. These games offer a Jackpot that can increase up to a few million euro’s! The latest Jackpot we saw was more than 7 million euro. Besides these games you will also find some great NetEnt Jackpot games including Cosmic Fortune and Divine Fortune. Other nice games are the A Night in Paris Jackpot Game, Major Millions, Arabian Nights and At the Copa. For the full range of Jackpot Games, please visit the gaming lobby! In the gaming lobby you will also find many different table games. These game are divided in the categories Blackjack, Roulette, Video Poker and Other Games. In the Blackjack section you will find many different varieties of the very famous game. You can play European, American or Progressive Blackjack for example. Or 6IN1, Single Deck, 21+3 or Atlantic City Blackjack Gold. Check out all varieties in the gaming lobby. Roulette is also available is a lot of different varieties. You can play American, European or French Roulette. Besides that you can choose for a low, standard or a high limit. Or for Premier, Multi Wheel or VIP Roulette. You can find a styles in the Roulette section of Videoslots Casino. Other popular Table Games include Pai Gow, Baccarat, Casino Hold’em and Bingo. You can also try your luck on Keno, Oasis Poker or Pontoon. At Videoslots you will also find a huge portfolio of scratch card games. Try your luck on one of the more than 20 scratch card games and win big. Videoslots offers a unique kind of gambling; the Battle of Slots. The Battle of Slots offers you various cool games modes. Below we will explain how the game modes work. Jackpot Games; You can play your favourite jackpot games together with friends or family. It is also possible to join a group with other gamblers in the casino. In this way you can increase your chance of hitting a mega jackpot! Sit n Go Games; When you join a Sit and Go you will get a certain amount of spins on a certain video slot. During your spins you will need to compete against other players. The players with the most points won during their spins will win a share of the prize pot. Try it now and win some of the bigger prizes for the top players. Freerolls; Sometimes it is also possible to join a freeroll. Normally you will need to wager a certain amount to join a freeroll for free. This event is completely free of charge and fully on the house. Play for free and get a chance to win big. For example; we can now join a Freeroll with a total prize pool of 750 Freespins. During this event we will get 100 €0,15 spins on the Steamtower Slot. When we collect the most points we will get 75 Free Spins totally on the house! All first 75 spots will get a free prize on the house. Try your luck now and win big! In the Battle of Slots lobby you will find all scheduled battles. Log in now and choose your battles. Which you one play depends on some things. For example, you could choose your favourite slot games. But you should also have a look at the buy-in, states and amount of spins. The more spins you will get, the more time the battle takes! When you are looking for a new casino then you of course want to be sure the casino you join is trustworthy. Regarding Videoslots we are very positive. Why? We have played at this casino ourselves and we never had any problems. In addition to this you will be able to find many positive experiences about this casino on the internet. Overall Videoslots has a very good reputation within the online gambling community, and because of this we can recommend playing at this online casino. One other thing why we know this casino is trustworthy is because we know the guys behind this casino, and we know they are legit. 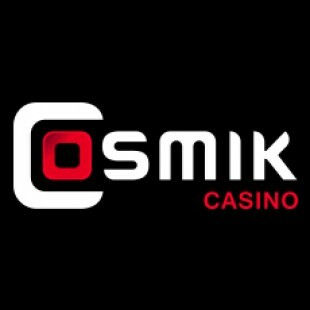 If you have any problems with this casino you can always contact their management, the team is very open to all feedback and communication. At Videoslots you will receive 11 Welcome Spins on your first deposit. Simply sign up your free account today and make a first deposit. Once done, you will find 10 Welcome Spins on Starburst in your account. And you know what’s great? All winnings are wagering free. This means you don’t have to play through any of your bonuses winnings you enjoyed on Starburst. On top of this generous bonus Videoslots will also offer you €10,- Extra Cash and a 100% deposit bonus up to €200,-. In the following paragraphs you will learn more about these bonuses. Ready to collect your personal offers? Then sign up your free account at Videoslots! At Videoslots Casino you can collect €10,- extra cash on your first deposit. You can unlock this bonus by making a minimum deposit of €10,-. Besides the €10,- extra bonus money you will also receive a 100% welcome bonus up to €200,-. For example, when you deposit a total of €30,- at Videoslots. You will get €10,- + €30,- welcome bonus + your initial deposit of €30,-. In this way it is possible to play with a total of €70,-. Like to play with high stakes? You can get a welcome bonus up to €200,-. You can collect this amount by making a deposit of €200,-. After doing this you can play with a total of €200,- + €200,- + €10,- = €410,-. Sign up today and collect your bonus offers! This is also one of the reasons we like to play at Videoslots. You will get a 25% weekend booster reward on all your spins! The Weekend Booster bonus will be awarded every Friday. The more you play during the week, the more you will get back on Friday. And you know what’s great? All awarded cash is totally wagering free! This means you can withdraw it immediately if you like. You can always keep track on the total reward you will get this Friday. Click on My Account and navigate to My Weekend Booster. On this page you will find all statistics. This overview will be updated once a day. Videoslots offers a brand new feature at their online casino. Choose your favourite slot and spin a minimum of €0,20 per spin. In the Clash of Spins leaderboard you can follow your progression. You can see your current position high lighted in red on the leaderboard. When you won a clash you receive your winnings on Monday. Each clash will reward the best players with the most points with a reward. You can win free spins or real money. Besides the bonuses and promotions mentioned above you will also receive rewards while playing at Videoslots. Theses rewards can include extra spins, an extra deposit bonus, extra Weekend Booster earnings during a few spins and extra spins for the casino races. All winnings during your extra spins are totally wagering free. Any bonus money through your rewards does need to be wagered. Click on ‘’My Bonuses’’ in the horizontal menu to check out your current rewards. Key terms for the standard bonus. We will match your deposit up to €200 on your first deposit. You will receive €10 bonus cash from us when you make your first minimum deposit of €10. Videoslots Casino is all about the slots. And that’s why you will find refences to games everywhere in the design. On the homepage you will find the logo and some visuals of popular video slots of the moment. Besides that you will find some banners about the casino race and weekly Weekend Booster reward including some characters from some of the games. Below the main visuals you will find some upcoming Battle of Slots events and recent winners. Below that you will find the gaming lobby including a selection of the games. Depending on your filters you will find a certain amount of games. One thing we think is cool is that every game has its own background. For example, when you start up Starburst, the background will change in the purple colour with stars. And when you start Raging Rhino, the background will change in the main symbol of the game; the Rhino. All with all the casino just looks fine and exciting. Videoslots want to reward you with a great customer support experience. And that’s why they invested a lot of money in their support department. At Videoslots Casino you can receive support in English, Swedish and Finnish. The support department is available 24/7 by both Live-chat, e-mail and phone. Along with this they have a really elaborate and thorough FAQ with almost all questions you could have. If you should have any further questions you can always choose to contact them by phone, e-mail and Live-chat available around the clock. Our experience is that you will be helped through the live chat very good and quickly. Don’t hesitate to try it when you have a question or a problem. How to contact Videoslots Casino? Phone: You can use the callback form on the Videoslots website. At Videoslots you can choose one of the following currencies; EUR, USD, AUD, CAD, GBP, Kr and Kr. Every player has one free withdrawal every day regardless the chosen payment method. A second withdrawal will cost you some money. Besides that all bank withdrawals are free of charge regardless of the amount of withdrawal transactions being made on the day. Moreover, should you want to flush your withdrawal, meaning that you cannot cancel it, you simply contact the support and they will help you in an instant! At Videoslots it is possible to deposit money from as low as €10,- per deposit. On Videoslots’s homepage you can have the option to see the casinos various game’s payouts and RTP’s. Under this tab you can easily see which games are hot and which are not. Here you also have the amazing option to see the games’ actual payout % as well as their theoretical RTP. So wait no more! Click your way into this already totally amazing casino which just keeps getting better and better and become a part of the Videoslots family! If we are honest, we think Videoslots is one of the best casino around. Especially for players who love slots this casino is perfect. Below we will explain in some highlight why we think this casino is great! Games: At Videoslots you will find an amazing portfolio of games. In the lobby you will find almost 2000 games. We think there are not a lot of online casinos that offer so many games. Rewards: Videoslots is very generous. You will be rewarded with the Weekend Booster, the casino race and personalized rewards. And all these rewards are wagering free! That rocks! Support: The support agents are friendly and they know what they are talking about. When we contact support through the live chat we always get an good reaction within minutes. Another great thing about Videoslots. Uniqueness: We think the offer of Videoslots is very unique. Especially the Battle of Slots is great! You won’t find this experience anywhere else! Experience: The design is cool and the total experience is exciting. The reward system is fun and can earn you a lot of extra money. Fair and Transparent: The games in this casino are audited and tested fair. Besides that Videoslots shows the current and theoretical RTP’s of every game. This is a very transparent way to work. Want to submit your own experience? Or submit your own Videoslots Review? Leave your experience in a comment below or post it on our forum. 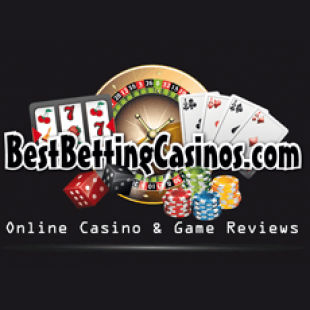 As written in this Videoslots Review, this is a top notch online casino.  Register your free account now and claim 10 Welcome Spins (Wager Free and no max cash out), €10,- Extra Cash and a 100% Bonus on deposit! Videoslots was established in the year 2011 by a few casino enthusiast. The brand is now owned by the company Panda Media Ltd. Casinos. In the more than 5 years the casino is active it has developed pretty fast. Each month the casino welcomes many new customers and games. And because of this the rewards in the casino race keep on growing. A while ago the total price pool was €12.500,- each week. At the moment of writing this pool already increased to any amazing €90.000,- weekly! Join this great movement and grab your part of the weekly price pool and rewards. Just like most new online casino’s Videoslots works great on mobile or tablet. So it doesn’t matter if you own an Android smartphone, iPhone, iPad or Samsung Tablet. You can play any time you want. Everywhere you are! Not all provided games work on mobile but most of them do. Besides that, the NetEnt Touch games are specially developed for mobile devices. So they work spot on! Try it for yourselves and make a nice profit while playing from your couch or public transport! One Free withdrawal per day. Receive Weekend Booster on every Friday. Over 3.000 games on desktop. Over 1.700 mobile games for smartphones and tablet. 11 Welcome Spins on First deposit (wager free). Free Deposits from as low as €10,-. 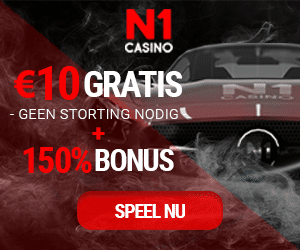 €10,- Extra Cash on Deposit! Unique Battle of the Slots Competition. Because we like to play at Videoslots we wrote an very extensive casino review. During our Videoslots Review we made a real deposit and tried out some games. We also tried out the casino on mobile and tablet. Because of our extensive experience with this casino we are sure we wrote and decent casino review. If you found any information that is untrue or outdated, please let us know by leaving an comment. No Players allowed from US, Denmark, Turkey, Belgium and Israel. Videoslots likes its players to play responsible. And that’s why they offer various methods to protect players. 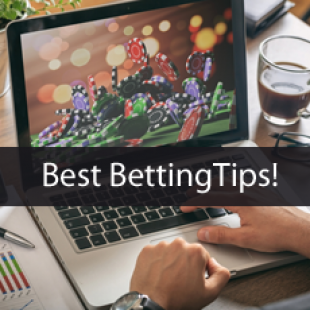 In your account you will always find information about your winnings and expenses. Besides that it is possible to set deposit limits, loss limits and wager limits. It is also possible to set max bet protection limits per spin and a time-out limit. You can also choose to lock your account a certain amount of days. When you are done gambling it is also possible to set an self-exclusion. This is possible for a period of 6 months or 1, 2, 3 of 5 years. For more information, please check the responsible gaming tab in your personal account. All the games at Videoslots are proven fair. If you like it is possible to find publicly available audit information about the games. The games have been audited by eCOGRA. And company that offers approved testing agency services. The underlying philosophy of eCOGRA is based on the achievement of the objectives of player protection, fair gaming and responsible conduct by operators, software providers and relevant service providers. You can deposit and withdrawal the following currencies; EUR, USD, GBP, Kr, Kr, AUD and CAD. At Videoslots you can make a deposit using one of the many payment methods. At the moment you can deposit money using American Express, Bank Wire Transfer, EcoPayz, Maestro, MasterCard, Neteller, Paysafe Card, Ukash, Visa Electron, instaDebit, Visa, Sofortuberwaisung, POLi, Euteller, UseMyFunds, Trustly, Skrill, AstroPay Card, PugglePay, Siru Mobile, SMS Bill, UseMyServices, Paylevo or Flexepin. At Videoslots you can withdrawal money using Bank Wire Transfer, Neteller, Visa, Skrill, MasterCard, EcoPayz, Trustly or instaDebit. When using an eWallet or Credit Card Videoslots pays out within 1 hour. The pending time is set at 1 hour. Bank transfers can take up to 1 day. Videoslots pays out a maximum of $50.000,- per month. This casino is licensed by the UK Gambling Authority, the Maltese Gambling Authority and the Curacao Gambling Authority. 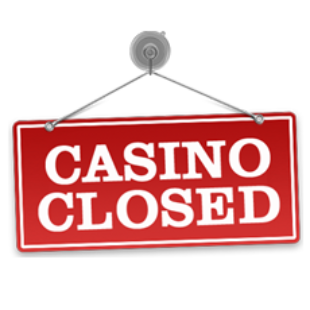 The following countries are restricted from playing at Videoslots Online Casino; Belgium, Denmark, Israel, Turkey and people from the USA. Join now and receive 11 Welcome Spins and a 100% Welcome Bonus up to €200,00 + €10,- Extra on your first Deposit! Recommended Online Casinos - The ultimate casino list!